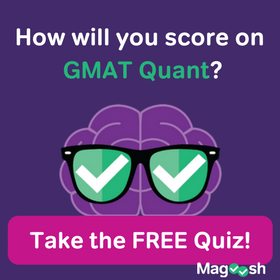 Learn these subtle distinctions for some of the trickiest GMAT Sentence Correction questions! First, consider this question before you read the post. 1) In a recent policy shift, the management of the county’s public senior-citizen facilities has cut staff hours as means to greater economic sustainability and has lowered the percentage of new residents it will accept whose only source of income is Social Security. A complete explanation of this question will come at the end of this post. One of the splits in this SC question is the opening preposition, the preposition which accompanies “means” in the stem. 2) Dining out only seldom is a means of saving money. 3) Hand gestures alone do not always suffice as a means of communication. In #2, there are many ways to save money, and one of those, one kind of way to save money, is to dine out infrequently. In #3, there are several forms of communication, and one of those, although not always the most efficient, are hand gestures. 4) Having lost my paddles downstream, I rowed the canoe by means of a plank. By contrast, the idiom “X as a means to Y” clearly delineates a difference between X and Y: X is a step on the way to Y, but X and Y are clearly different things, and one’s intent is to use X and thereby move past it toward Y. In this construct, Y is the true goal, the true object of one’s intention, and X is merely a method employed to achieve this goal. 5) She adopted a no-carb diet as a means to losing weight quickly. 6) The historic town invested in a billboard along the nearby interstate as a means to increased tourism. In #5, the no-carbs diet is not a goal in and of itself: rather, it is simply a tool, a method, but which the person in question intends to lose weight. In #6, the billboard is not a goal in and of itself; the town’s goal is increased tourism, and the billboard is simply a method they hope will achieve this. By no means should you assume these are the only idioms in English involving “means”, but by all means you should study this particular distinction, a possible split on more challenging Sentence Correction questions. 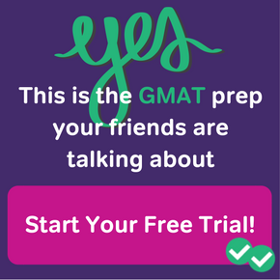 We want to support your understanding of GMAT SC by any means! 1) In a recent policy shift, the management of the county’s public senior-citizen facilities have cut staff hours as means to greater economic sustainability and have lowered the percentage of new residents it will accept whose only source of income is Social Security. 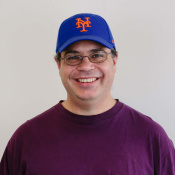 The foregoing discussion has probably helped you narrow down the choices. “Means for” is always wrong, so (E) is out. Here we are discussing cutting staff hours vs. greater economic sustainability. We don’t want to suggest that cutting staff hours is a kind of greater economic sustainability. Rather, cutting staff hours is not desirable in and of itself, but it’s a step the senior-citizen facilities are taking to reach their intended goal of greater economic sustainability. Therefore, in this context, “means to” is correct and “means of” is incorrect. That narrows choices down to (A) and (B). Notice, also, the verbs “has cut” and “has lowered”/”lowering” must be in parallel, so “has lowered” is correct —- also (A) and (B) only. The difference between them is another tricky split I have discussed in this post: https://magoosh.com/gmat/2012/gmat-sentence-correction-the-power-of-al-the-adjectival-ending/. The phrase “greater economic sustainability” tells us specifically: what kind of sustainability? Very specifically, they want to stay financially afloat: that’s economic sustainability. By contrast, “greater sustainability economically” means they want broader sustainability in general (financial, emotional, moral, spiritual, etc.) and they want to achieve this broad sustainability economically, that is to say, at low cost. In context, that’s wacky. Clearly, the word “economic”/”economically” is supposed to tell us the specific kind of sustainability, not to qualify that this broad open-ended sustainability should be achieved with cost-cutting measure. Therefore, (A) is the best answer. Can you use a verb after means to? Could you explain #2 and #5 again? Isn’t dininig out a ‘tool’ as well, in order to save money? Example #5 is similarly flexible. In “She adopted a no-carb diet as a means to losing weight quickly,” adopting a no-carb diet is a tool for completing a separate act– the act of losing weight quickly. But you could also say “She adopted a no-carb diet as a means of losing weight quickly,” if you want to say that adopting a no-carb diet is a weight loss method and is thus equal to losing weight quickly. 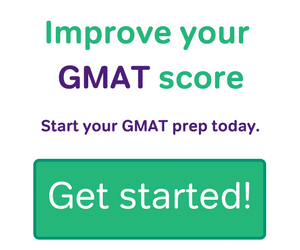 In GMAT questions, of course, you will see sentences that are more complicated and don’t have this kind of flexibility. 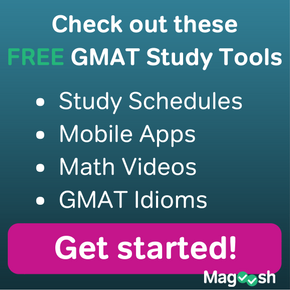 Distinctions between “means of” and “means to” will be less subtle on the GMAT, and have one clearly correct answer. Do following two sentences convey same meaning ? Can we use ‘so as to’ or ‘in order to’ in place of ‘as a means to’ ? She adopted a no-carb diet as a means to losing weight quickly. She adopted a no-carb diet so as to lose weight quickly. She adopted a no-carb diet to lose weight quickly. The “so as to” structure in this sentence sounds unnecessarily pretentious, given the informality of the content. Does this mean that we can always replace “as a means to” with “infinitive of purpose” ? I understand that “so as to” has a formal tone. But, I am confused here, as I don’t see any purpose of “as a means to” idiom, other than just to decorate a sentence. Is it a correct assumption ? NO! You usually cannot replace “as a means to” with the infinitive of purpose; among other things, the object of “to” usually is NOT an action: it simply was in your example, but not in the sample question on this page. The “as a means to” idiom is very subtle, and it is not purely decorative. I would suggest looking for it in sophisticated reading — the NYT, the WSJ, the Economist magazine, etc. Look for it in real-life writing, and you will develop a sense for it over time. Thanks Mike, this is super helpful! By the way, you missed an ‘l’ in the question above, so ‘public’ looks like ‘pubic’. I’m glad you found this helpful. Thanks for pointing out the typo: I just corrected it. That’s one of the more embarrassing single-letter omissions! This is really great! Can you please say more about the difference between numbers 2 and 5? I see them as exactly the same, i.e. dining out only seldom is not a goal in itself but a method of saving money. The low-carb diet is one way (or kind of) losing weight. Can you say more about the difference? Understand, we are on the ground of subtle implication here, so the distinctions are not going to be black-and-white crystal clear. Now, suppose I said, “I want to lose weight: what should I do?” Probably a low-carb or non-carb diet would be on almost everybody’s short list of recommendations. Any modern book on weight-loss, even if it does not advocate a low-carb or no-carb diet, would necessarily have to address those in some way only because so many people regard one or the other as a viable alternative. Your explanations are way too good. Keep up the good work. Thank you for your kind words. Best of luck to you! It is equally confusing. I mean in the start when you said “Dining out only seldom is a means of saving money”. One possible explanation can be that saving money is a goal and not dining out is a method to achieve that goal, then why not “means to”? Would you please elaborate a little more on this. Dear Bushra: Understand that, as with many things in grammar, this distinction is not “mathematical” — everything in grammar involves the feel of the language, the feel of the situation in which the language is used. If I usually eat out 5 nights a week, and then, needing to save money, I don’t eat out for a week, right there, that’s more money in my pocket. There’s a kind of immediacy to it. In #6 and especially in #7, there’s not the same kind of immediacy. This gets into a gray philosophical area: in what sense is a cause the same as its effect, and in what sense are a cause and effect different? We could debate that for years. For the GMAT SC, it’s enough to have an awareness of this idiom on your radar, so that you know the criterion when it arrives in context. Does this make sense? Veeramani: I am not too familiar with the 1000SC, but from the little that I have seen, they seem good. If something about any question or explanation seems suspect, don’t take it as gospel — ask us, or post a question on the forums.